Mediterranean fiberglass chair elaborated with fiberglass and metal frame finished in silver varnish. 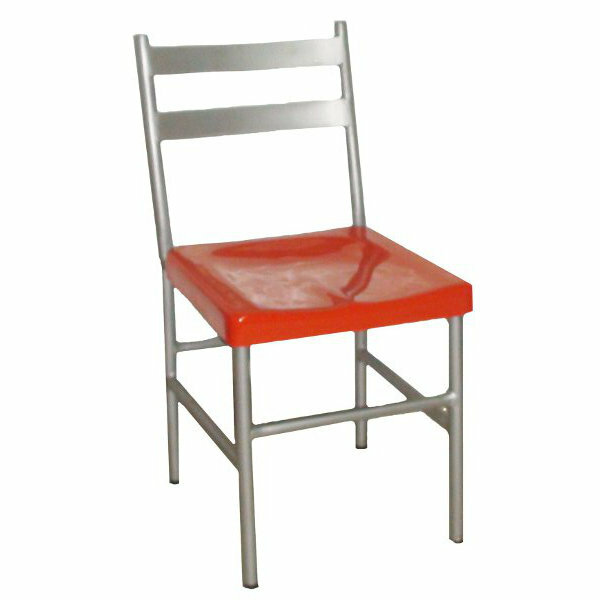 This elegant chair is perfect for restaurants and open air cafeterias or indoors. Given its elegant and practical design it becomes an element that can enhance the image of your brand. The base is made of fiberglass and is available in different colors.